Melissa joined Arnold Packaging in 2013 as controller. Her focus is guiding the efficiency and accuracy of accounting process, reducing unnecessary expenses, and streamlining the work flow in her department. In addition to monthly reporting, monitoring budgets, and filing sales and use tax returns, she ensures accurate preparation of support documentation for asset-based loans and other commercial financing. Along with overseeing accounts receivable, accounts payable and purchasing, Melissa maintains all lines of insurance renewals, 401(k) amendments and payroll processing. Her professional philosophy is to love what you do, and do what you love. For Melissa that means a constant eye on the details that lead to the bottom line. “I meticulously watch every penny we make and every penny we spend, to ensure we are operating at peak profitability and efficiency,” Melissa says. 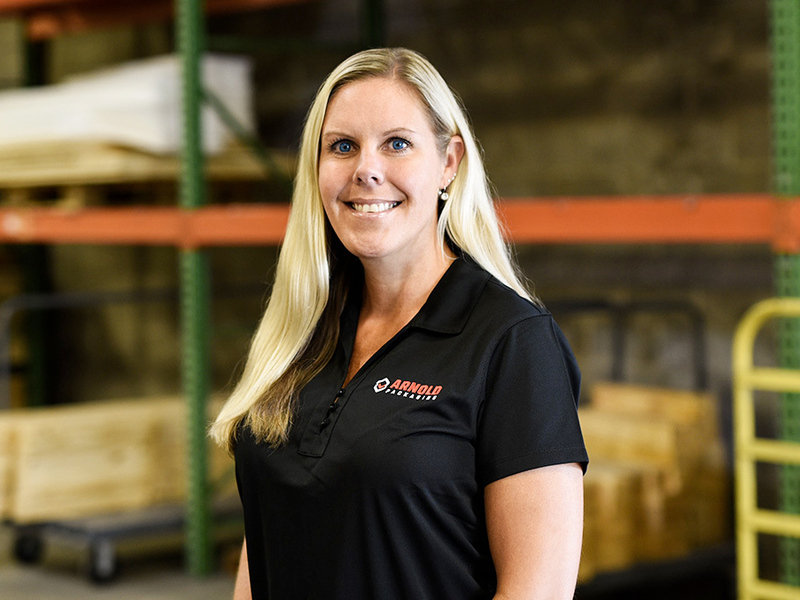 A recent accomplishment for Melissa was leading her team through a new ERP accounting software implementation — which is part of Arnold Packaging’s commitment to continued investments in technology in all areas of the company. Her team is able to produce financial statements in a more timely fashion, and with the increased transparency of the new ERP system she can more effectively analyze and manage the finances. In turn, the resulting cost improvements are passed on to the customer to help increase their level of profitability. Melissa earned a bachelor of science degree from Towson University in business administration, and a masters of business administration from Loyola College. She is the treasurer of the Chapel Hill Elementary School PTA, and has been married for 15 years with two children.